Talking about a septic system is not glamorous or exciting. New homeowners have many things to learn when the keys are turned over at the closing table. Although discussions about a septic system is probably not a favorite topic, it is an important part of what you need to know as a new homeowner. Check out these tips on caring for your septic system. 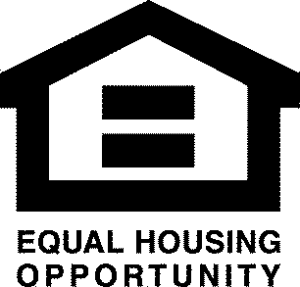 It is one more facet of learning the responsibilities of owning a home. The reality is, a well cared for home costs less money to maintain and repair bills are less frequent. Understanding how to care for a septic system is not something that most people know without first hand experience. Truth be told, caring for your septic system is really quite easy. Common sense and a little practical knowledge will keep things properly working for many years to come. 1. Have your septic system cleaned out approximately once every three years. It should happen more often if you have a large family, but the average is three years. What does that require from you? Usually a phone call to a local septic company is all it takes. They will give you an estimate on the phone based on the size of your tank. You will need to know where the access is to show them. Once opened they are able to do an inspection to make sure things are working properly. A hose is then hooked up to your system and when empty they are done. The top of the tank is then closed and they drive away. A relatively easy type of maintenance but you need to remember to make it happen. 2. Use water efficiently. Leaky faucets, toilets and showers use an enormous amount of water that filters through the system. Your septic system needs to recover and too much water passing through all at once can slow it down. New homes have more efficient toilets and shower heads that help with this issue. When purchasing a washing machine or dishwasher efficiency ratings are a great feature. Plan out your laundry schedule and don’t do ten loads of laundry all at once. 3. What NOT to throw down your drain. 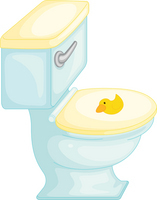 Garbage disposals are not recommended for septic systems. It puts too much raw, undigested solids into the system that can cause issues. Oils, coffee, diapers, cat liter, feminine products, excessive toilet tissues, paper towels, dental floss, hair can all be problematic. Stick to the basics and use toilet tissue that is septic friendly. 4. Cleaning products – While cleaning products are fine to use, there are many that are green and more friendly to a septic system. Choosing a laundry soap is easy when you read the fine print. Many state that they are septic friendly. 5. Don’t put car oil, paint, or any other products that say “toxic” down your drain. These cause the bacteria to die off and can harm your system. Drain cleaning products are NOT your friend. Don’t use excessive amounts of bleach. 6. Landscaping – Grass will grow nicely on top of the system. Trees or bushes should not be planted on top of the system as he roots can interfere with the system. 7. NO heavy objects should be placed on top of the system. That includes driving or parking cars, trucks. No above ground pools, gazebo, or a shed. Your kids can certainly play on this part of the lawn with no problem, and you don’t have to worry. You should learn where the access is and where your tank and leach field are located. This would be on a survey with new construction. 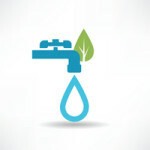 By understanding water conservation and the basic concepts of a system, you should be maintenance free. For more information be sure to read these references and info on how a septic systems works and proper care in detail. EPA- Government Guide to maintaining a septic system. How your septic system works helps you to understand how to care for the system. Understanding a septic system – a simple article about the design of your septic system.